As we age, our bodies’ ability to produce collagen and elastin decreases, which leads to loss of volume in the face giving us a tired and gaunt appearance. 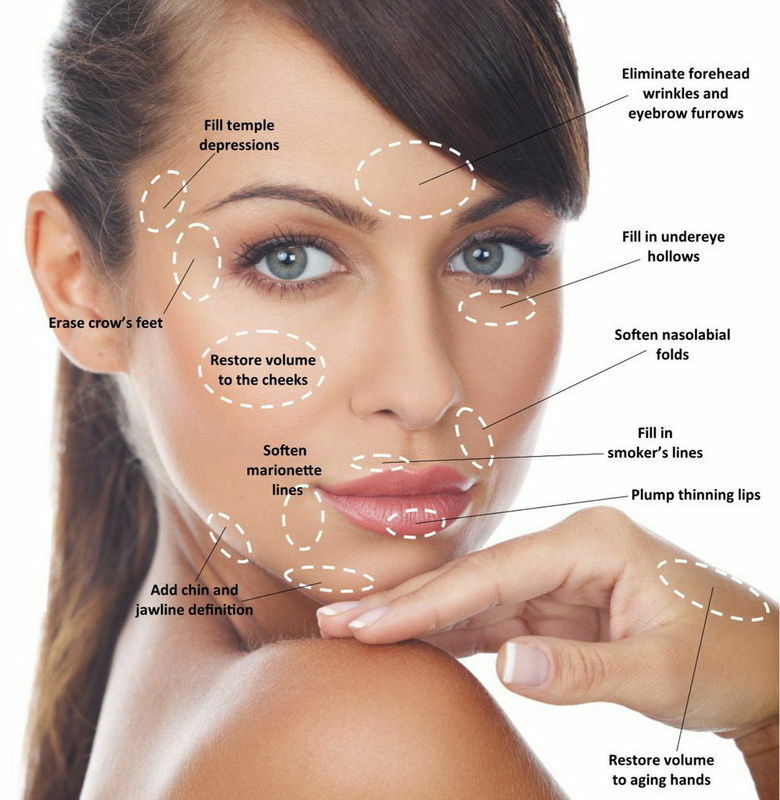 Dermal fillers work by adding volume to the affected areas. They are used to fill creases, folds, age lines, depressions and scars. Dermal Fillers are a range of smooth injectable gels made from a naturally occurring sugar complex found within our skin and which assists in skin hydration. The sugar complex is placed beneath the skins surface to restore volume, correct static wrinkles and folds and erase fine lines, whilst providing the skin with volume, support and hydration. Facial volume loss is one of the key factors in the ageing process. Fine lines and wrinkles develop in the skin as a consequence of cumulative sun damage and intrinsic skin aging. Loss of skin elasticity and a reduction in the volume of facial fat combined with the effects of gravity lead to deeper skin folds and wrinkles. By boosting your skin with the sugar complex, dermal fillers revitalise and add volume to the area instantly. This diminishes the appearance of lines and wrinkles, and gives a natural softer look, as well as plumping the skin, making it appear smoother and fuller.